A harpsichord recital of Raymond Erickson, an internationally recognized Bach scholar and one of America's most experienced teachers of historical performance practices. The concert entitled 'First and foremost Bach. Music by Johann Sebastian Bach (1685-1750) and improvisations on his themes' was held at Stefan Stuligrosz Hall at I.J. Paderewski Music Academy in Poznań on Monday September 4, 2017 (5 PM). Admission was free. Adagiosissimo – Ist ein allgemeines Lamento der Freunde / Andante con moto – Allhier kommen die Freunde (weil sie doch sehen, dass es anders nicht sein kann) und nehmen Aschied / Aria di Postiglione. Allegro poco. Raymond Erickson is an internationally recognized Bach scholar and is one of America's most experienced teachers of historical performance practices, having taught the subject since the mid-1970s at Queens College's Aaron Copland School of Music (of which he was the founding Director) and CUNY's Doctoral Program in Music (where he still teaches part-time), as well as at Rutgers University and The Juilliard School. He brings to this work international experience as pianist (student of Margaretha Lohmann and Nadia Reisenberg), harpsichordist (student of Ralph Kirkpatrick and Albert Fuller), and music historian (Ph.D., Yale). Erickson was harpsichord soloist in the first New York period-instrument performance of Brandenburg Concerto No. 5 (New York Times: "brilliantly played") and a participant in the first American period-instrument recording of the complete Brandenburg Concertos (Smithsonian). For a quarter-century he performed regularly with Europe's and America's leading early music performers in the Aston Magna Festival in Great Barrington, MA, America's second oldest period-instrument music festival. He has performed in over thirty of the states in the continental USA, as well as in Germany, Austria, and Italy. In 2014 he gave the first solo harpsichord recitals on major stages in Beijing and Wuhan, and has been invited back to Beijing and also to Shanghai for the 2017 season. As both harpsichordist and pianist, Erickson has revived lost practices of improvisation in his teaching and in recital. His preludizing on themes of Robert Schumann was acclaimed by a German critic as "genius in the manner of Clara Schumann," who was famous for her improvised preludes. 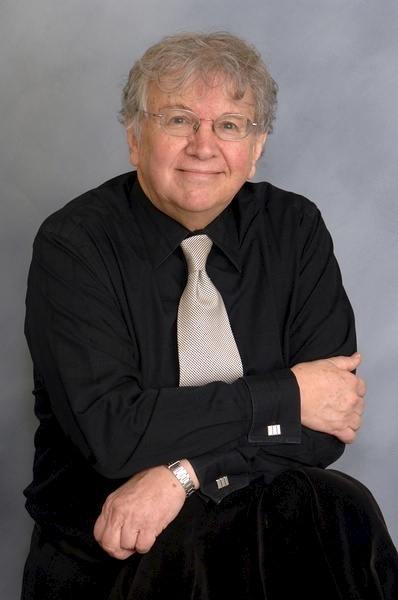 In 2011 Erickson founded "Rethinking Bach: A Performers' Workshop" at the Aaron Copland School of Music; in 2014 the week-long summer program relocated to Japan at the invitation of Tokai University (Shonan), where it continues today. Information at rethinkingbach.com. A popular pre-concert lecturer for New York's Lincoln Center and elsewhere, Erickson has also written program notes, mainly on Bach, for Carnegie Hall and Lincoln Center. He has presented papers on his Bach-related research in Leipzig, Oxford, Harvard, and Warsaw and has given master classes on Bach performance throughout this country and abroad (including the Mozarteum in Austria and Beijing's two conservatories). His four books include the richly illustrated, multi-disciplinary volume 'The worlds of Johann Sebastian Bach' (Amadeus Press, 2009), and he has offered a radically new, but historically grounded, interpretation of Bach's Ciaccona for solo violin in publications and in presentations at The Juilliard School and other leading conservatories, and in an on-line video (below). He is a winner of the William B. Scheide Research Award of the American Bach Society, and Honorary Member of Phi Beta Kappa, and has been decorated by the Federal Republic of Germany. His Bach-related research–including extended stays in Leipzig—has also been supported by the Alexander von Humboldt Foundation (Germany) and an Emeritus Professor Fellowship from the Andrew W. Mellon Foundation.